Would you like Taekwondo? A Karate master was asked what is the best martial art. He said it was another martial art. His student asked, "then why do you teach Karate?" He said, "I'm in it for the victim." Taekwondo is similar to Karate in this way. Do you like fast forms, linear punches and kicks, sparring? Taekwondo may be for you, although Karate and Kung Fu are similar. Taekwondo is the most recent of the modern Asian martial arts. Taekwondo developed via a combination of Karate and indigenous Korean martial arts, emphasizing competition, katas and striking similarly. 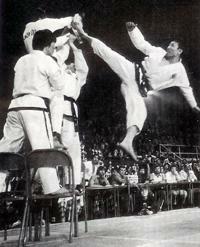 However, Taekwondo also emphasizes kicks, especially high kicks. Taekwondo classes in Westchester are similar to Karate in that they may include stretching, basic movements, forms and competition. Quite often, Taekwondo training is partnered with Hapkido, a Korean martial art that developed from Daito Ryu Aiki Jujitsu, and thus shares the same roots as Aikido. 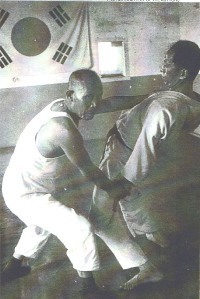 Application of self defense technique may also derive from Hapkido. While Taekwondo itself emphasizes external (hard) power and teaches destructive technique initially followed by control, partnering with Hapkido may change this dynamic. Weapons use in Taekwondo is an additional element of practice. Exercise is often aerobic. In Westchester County, Taekwondo is available Northern Scarsdale, Mount Vernon as well as White Plains and possibly New Rochelle and Yonkers.